This is a guest post from Evan of My Journey to Millions. Evan is a fellow personal finance blogger, who is also an Attorney and works as a Director with a New York Financial and Estate Planning Firm. If you like what you see here, please consider subscribing to his RSS feed or following him on Twitter. Like 10, 000+ other people, I subscribe to FiveCentNickel, so everyday I get the newest post in my Google reader. When I saw the title “Why You Should Fire Your Financial Advisor” come up on my screen the other day, it immediately piqued my interest. The post was written by the guy who runs Financial Uproar, a self-proclaimed DIY investor. The main reason that this post grabbed my attention is because I work in the financial industry every day. I think the main problem with these arguments really comes down to the author’s competence, both in daily finances and investing. Unfortunately, I don’t believe everyone is as focused as him on investment and money management. While it’s true no one cares about my money as much as I do (except maybe The Wife), that doesn’t mean that everyone is good at it. You don’t have to look very hard to find one person after another who can’t manage their day-to-day finances, much less an investment portfolio. I’m pretty sure that no one cares about my car as much as I do either, but I don’t pop the hood and play with the flux capacitor. That’s just not something that I’m good at. I’ll come back to the compensation issue, later, but I wanted to note that I actually want my financial advisor to drive a nice car. Maybe “fancy” isn’t the best word for it, but if any professional in my life showed up in a POS, I would get worried. Moreover, while the author of the original piece presents actively-managed mutual funds as the primary tool of a financial advisor, that is an extremely narrow view of the industry. And even if you agree with him that most investors are best served by holding a portfolio composed entirely of index funds, many investors need some help when it comes to identifying the right mix of holdings. Before we can even discuss whether their compensation is fair or not, you have to decide whether or not it’s true that not everyone is cut out to handle their own investments. If you think that everyone can (and should) handle their own portfolio, then any level of compensation is egregious. As a tongue-in-cheek example of what I mean, I believe that pretty much everyone can tie their shoes, so charging a fee for that (no matter how it is structured) would be unfair compensation. Am I right? I really don’t believe that any option is better or worse than another. Yes, strong arguments can be made for fee-only advisors but, in general, the bigger problem is that the various options aren’t typically fully explained to the client. Consider, for example, a typical 22 year old with a relatively small investment portfolio. Should that person choose an hourly rate of $100 to $300, perhaps with a large retainer up front, akin to an attorney… Or would they possibly be best-served by choosing an advisor who’s paid on some sort of a commission? Just to be clear, I don’t think everyone needs to meet with a financial advisor, just like I don’t think everyone needs a personal trainer to oversee their exercise program. At the same time, however, it’s sometimes nice to meet with a professional. Yes, while most of these things can be achieved on your own, even some of the most money-savvy people sometimes drop the ball. If you think that an advisor would suit your needs, then you shouldn’t let anyone scare you into dropping them. Moreover, if you’re currently a DIY’er but you think you might need some additional help, you should definitely consider asking around for recommendations. Once you have a few names, go ahead and set up an initial consultation with two or three of them to see what they have to offer. They’re very convincing and will certainly work. Nonetheless, the posts are too brief for starters. Could you please prolong them a little from next time? Thank you for the post. I think there is just too much confusion about what an advisor actually does. Some advisors want to be money managers and they will mostly charge a % fee on the assets they manage for a client. Nothing wrong with that. Most likely the portfolio will perform better over time having professional management rather than someone who reads Money magazine and all-of-a-sudden is an expert portfolio manager…give me a break. 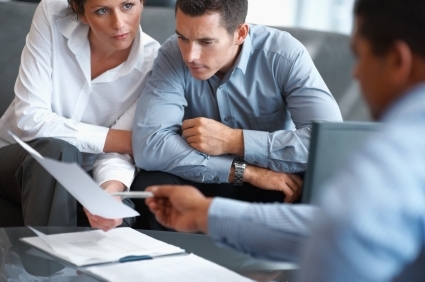 Some advisors actualize specialize in certain areas such as estate planning and tax planning. If you’re an individual that has a high income and a significant investment portfolio the tax management is just as important as the investment management…they go together…Any advisor worth their salt will add value in both the investment and tax areas. Again, the main issue is a confusion about what an advisor does. It may come down to the fact that most advisors are poor at articulating their value to clients. If a client doesn’t understand what benefit they’re receiving from working with the advisor then they will most likely watch a Vanguard commercial and believe that they can do everything themselves better than a professional. I can’t believe that a majority of people actually think they can replace professional advice by reading some articles and watching some television. Just to clarify for everyone reading this ANY advisor worth his salt is doing way more for their clients than just managing the money. Fee based comprehensive financial planners (of the professional and not sales variety) are generalists by nature. The better advisors also have significant depth of knowledge in many areas of personal finance. These skills are brought to bear for clients by coordinating and integrating the many pieces of the puzzle into one cohesive strategy that is more valuable than the sum of its parts. To use a business owner as an example, a comprehensive planner will examine all aspects of the client’s financial situation including the business itself. This is done with the help of other advisors that can include tax and estate attorneys, business advisors, employee benefit providers, accountants, key persons within the business, the next generation or two of beneficiaries, charitable interests, etc. In a typical example of a successful business owner with a high net worth, it is common to see needs for many products that weave in and out of each ‘single need’ area of financial planning. For example, the business will need planning for employee benefits, capital structure, entity structure, business succession, business continuity, etc. In addition, these must also be handled in light of the business owner’s personal financial situation that would involve planning for retirement, personal liability protection, investment, insurance, estate planning, etc. All of this must be coordinated or disaster will ensue. Some common problems would include buying a life insurance policy owned by the business owner on the owner’s life. This would exacerbate an already difficult estate tax situation. This would also threaten the ability of the business to continue operating following the owner’s death as estate taxes would be due and half of the life insurance proceeds would be lost because proper ownership wasn’t established. Expanding on this problem, the business could in fact be seized by the IRS and the employees would instantly be out of work. A comprehensive planner would go into a situation like this and help the business owner setup a buy/sell agreement that is properly funded and appropriately owned to ensure the owner’s family receives cash to live off of after he/she dies. The planner would also examine or help construct a business succession and business continuity plan and may even help in analyzing the capital structure of the company. A planner would also assist in setting up a credit shelter trust, a life insurance trust, and possibly a family limited partnership or family limited liability company to reduce estate taxes and/or protect assets from liability suits. In addition, a planner would suggest maxing out liability coverages on auto and home insurance policies and supplementing that with an umbrella policy. In looking at the insurance needs, the planner would suggest the type of policy and level of coverage required. The planner would recommend what type of disability and long-term care policies would be best along with business overhead expense insurance and/or key-man insurance. The planner would then examine the business owner’s investments with healthy respect given to the inherent risks that business owners face. The portfolio might be managed in dramatically different fashion that would be for corporate employees. 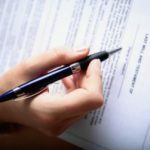 Beyond that, the beneficiary designations on the IRAs and 401k plans would be reviewed to see if the beneficiaries should be the spouse, the children, the grandchildren, or the trust with proper weighting to stretch withdrawals, financial needs of other generations, and estate and income tax minimization. The planner would also need to examine the client’s retirement situation, identify and shortage or surplus, then determine how much more would need to be saved or where the surplus should go. Maybe that surplus should go to the kids as part of a gifting program that is levered up through a life insurance trust. This involves making sure that Crummey Letters are distributed, signed, and retained annually along with the gifts. Now, does the comprehensive financial planner sell the insurance policies, draft the legal documents, prepare tax returns, or place trades in the investment accounts? Maybe, but almost never would the planner do all of these things. The job of comprehensive financial planning is to coordinate the talents of specialists and integrate them into a well designed comprehensive plan. What you advocate as a DIY’er is fine, just realize that comprehensive financial planners and the discipline itself have enormous value. If you’ve read this far, you might be asking if comprehensive planning can benefit more ‘normal’ people. The answer is YES. Obviously the more wealth and complexity involved in a situation, the more value that can be derived from a comprehensive planner, but everyone can benefit from looking at the entire picture and putting it together in a cohesive and meaningful manner. When it comes down to investing, I believe that anyone can set up a portfolio consisting of only index funds that would take about 15 minutes a year to manage. I’m not sure how that takes any more expertise than knowing how to use Google. The fact is that financial advisors use people’s fear against them. The marketing states that normal people can’t possibly invest on their own. Posts like Evan’s response further cement that stereotype. I agree that at certain times specific advice is needed. I advocate people going to see specific advisors for specific advice. Going to a financial planner who also advises on taxes, investments, insurance and estate planning is like getting a handyman to fix your complex electrical problem. Sure, it might get done right, but it might not. Generally people who read financial blogs have a greater financial knowledge than people who don’t. Those are the people who I think have the means to invest on their own. Good financial advisors play an important role. If you’re somebody who is completely clueless with investments and money, then trusting a professional might be the route to go. I agree with BG that there are some really good reasons to fire your financial advisor. Surely, you don’t fire a financial advisor for driving a BMW but do you really need a FA in the first place? I think you can do a better job with your own money than anyone else. First, paying someone else to invest your money means you are paying them money that you could have invested. A lot of advisors are paid up front, which means regardless of how they perform in investing your money, they get paid. Second, an advisor may be willing to gamble a whole lot more with your money than they would there own. Financial advisors, however, can be suitable for people who are extremely wealthy. Are you sure you are one of them? I fired my FA almost 10 years ago. A few years after that I got a few Class Action Lawsuit checks too — obviously there _are_ some good reasons to fire an FA. Conflicts of Interests being the #1 reason, IMHO. There isn’t any one size fits all answer here. Arbitrarily firing anyone cause their car is nice seems very stupid to me. My realtor and doctor have nice cars, but I’ll keep using their services. Begruding any professional who makes a good salary also doesn’t make alot of sense. Again, I’ll cite my doctor and realtor. On the other hand I certainly wouldn’t blindly pay an advisor whatever they charge and buy whatever they tell me to without educating myself on investing. And frankly I don’t think most Americans have enough money to invest to make it worth while to pay someone to manage it. The more fundamental problem is each person’s capacity to answer this question. We don’t know what we don’t know when we first enter the wild world of personal finance. 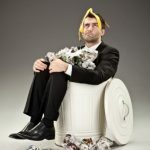 It’s often difficult to distinguish good advice as opposed to a good sales pitch (http://bit.ly/d3nLzO). In addition, most people are disengaged with their finances which has been illustrated time and again with financial literacy studies and usage statistics of personal finance software. The key is to get educated by reading blogs, magazines, and most importantly, books related to personal finance. From there, you can formulate your own view of what constitutes value and like Nickel, you can eventually get to the point where you are your own best financial planner. Appreciating both sides of this argument, in my mind it comes down to this: Do YOU want to focus on your money, or do you want SOMEONELSE to focus on your money. There are thiefs in every industry, See Oral Roberts- or his son, so if your FA sacks your nest egg, it’s your fault for not verifying what they were up to. If you have the time and energy, one can be just as educated and effcient as a liscenesed FA. If thats not your thing, hire it out. Just like construction, mechanics, etc..
First of all thank you for publishing my guest post. The comissions part is just built into the industry. 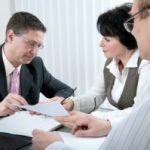 At this point, I think it would be really hard to undue it, because it is rare for a financial planner to be viewed as the equivilent of an attorney (retainer and hourly fee). Additionally, if I am paying my $50/mo or $100/mo into some investment vehicle am I really going to justify an hourly fee based relationship? I think it would better to attack those advisors that put their clients into the wrong kind of Share Class (A, B or C). – You run one of the biggest private personal finance blogs, I wouldn’t suspect that a financial planner would be a mutually beneficial relationship! Evan: I’m of the opinion that commissions rarely make sense, no matter how they’re structured. Your point regarding those with a small portfolio is well taken, but there is just too much potential conflict of interest associated with commissions. But I do agree that it’s a good idea for people to explore their options and seek professional help when necessary. We have a tax attorney that we use for estate planning purposes, and he’s definitely worth it. At the same time, we met with a local fee-only financial planner and ultimately decided that he didn’t add enough value to make his advice worth the cost.